I cannot even begin to tell you all the ins and outs of this book. 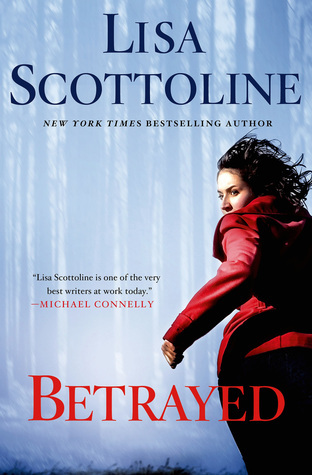 Ms. Scottoline has so many different things going on, creating a recipe instead of a review seemed to be the best course of action to take to tell you about this book. This is the first book I’ve read from her and probably my last. I did not connect with her lead character, Judy Carrier, at all. To be fair, many of the Goodreads reviews say that her standalone books and her previous Rosato & Associates series are much better than this outing, which I randomly picked up at the library. You win some, you lose some. Finally, sprinkle the end result with an unknown adoption. To serve, wrap it up with a nice bow. I’m sorry this one didn’t work for you! Can you believe I’ve never read one of her books? I bought one, but I’ve yet to read it. I hope your next read is better. She is local to me, and many former colleagues knew her and devoured her books; frankly, I was not a big fan.